The different themes are well laid out and organized. 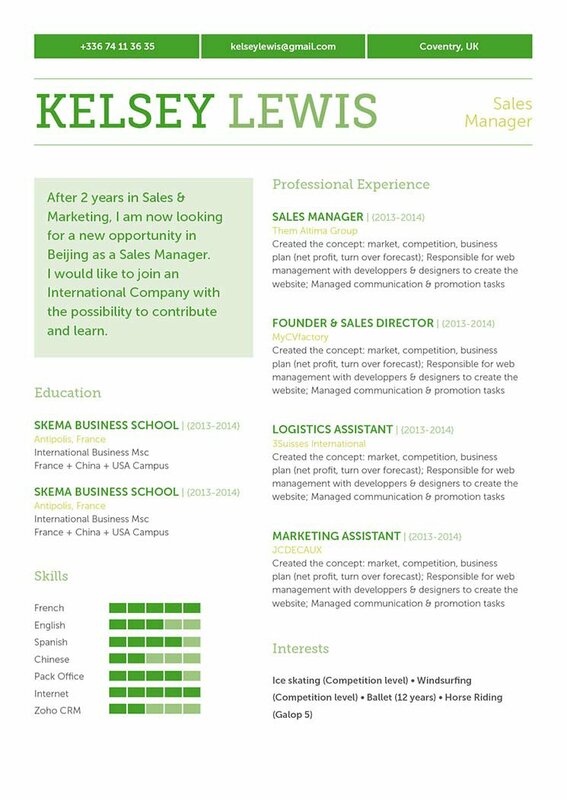 CV template to download "Self-awareness"
The Self-awareness resume perfectly presents your professional experience and skills! 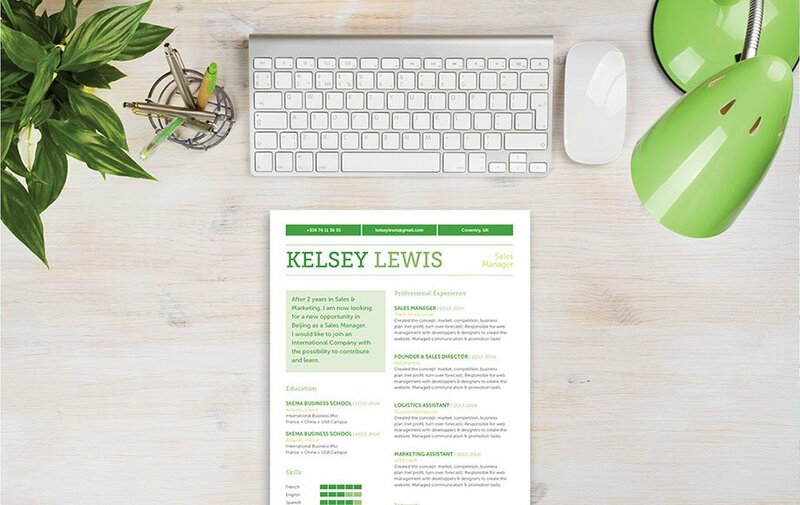 This original CV features a selection of colors, shapes, and text that give it an eye-catching design, which makes it applicable to any job type out there! It's well-structured lay-out presents all your qualifications in good detail, which is further complemented by the use of symbol and graphics to give this resume a truly unique design that is sure to help you land that dream job! How can you make a more attractive resume? That's simple! It all boils down to a good and effective resume format. That resume of yours is sure to help you land that dream job! Typically, resumes are just reviewed for 10-30 seconds—it doesn't get fully read the first time around! Therefore, you must presents all its content in a well-organized manner. To achieve this, use professional looking fonts such as Helvetica or Calibri, choose a font size between 11 and 12, and use italic and bold font styles to help guide the reader's eyes in reading your CV. The use of graphics and bullets can highlight the key phrases in your resume that need emphasis. Meanwhile, headings and subheadings will give your resume logical format that is easier to follow.